Fresh Summit 2013 was a Success! 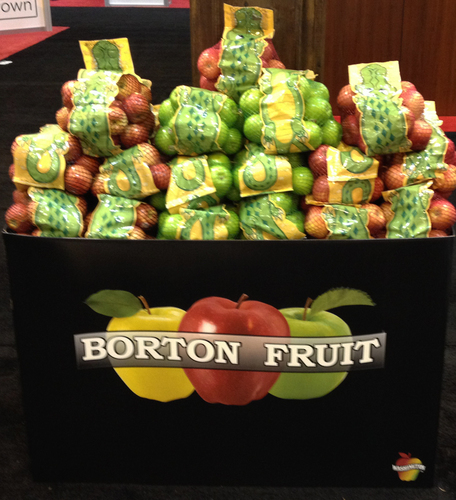 Yakima, WA – PMA’s 2013 Fresh Summit Food Show in New Orleans has officially come to an end. The show had a great turnout with over 21,000 people registered and noted to have attended the show. We want to say Thank You to all of our current and potential customers for coming by the booth and giving us your time. It is always a pleasure meeting with the people we talk to so much throughout the year on the phone in person, as well as getting your input on anything and everything we have displayed to discuss in our booth. We received some very positive feedback on a few new items we displayed in the booth which you will find pictures of below. To the left, you will see the Rockit tubes that were displayed in our booth. 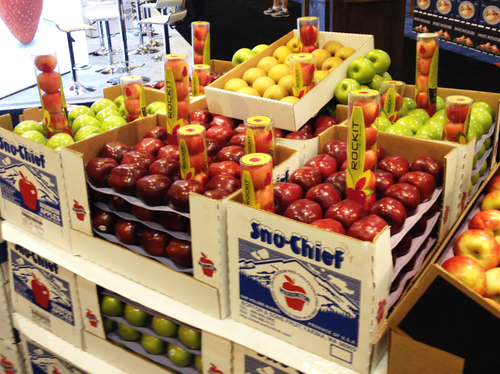 This is an apple from New Zealand we are working towards purchasing and growing here in Washington State. They have the crisp texture and sweetness needed to fulfill those taste buds and be considered a healthy snack. We were pleased with the responses we received from our customers on these tubes and are excited to get the program up and going. One of the other new items we displayed was the Gator Bites bag. This bag gives the consumer a 3d perception with the alligator graphics and the way the small apples fill the gator’s belly adding shape and dimension. This kid captivating design allows another avenue in adding excitement to a healthy snack for children. Thanks again to all of our valued customers here at Borton for coming by and sharing your time with us. We look forward to this upcoming crop season with each of you.